The Villa Valencia Chair Side Table by AICO Furniture beautifully captures the look and feel of Old World Spain. 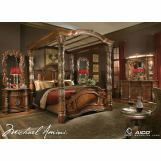 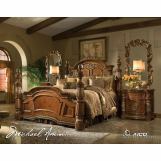 Beautifully crafted from Birch solids with Cherry Pecan and Elm Burl veneers the distinctive marquetry and intricate embellishments compliment a classic chestnut finish. 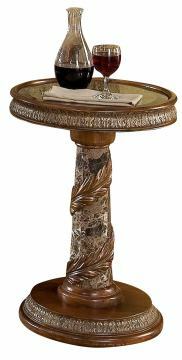 From its marble relief to the unique multi-faceted beveled glass encasements Villa Valencia Occasional Table Collection is a timeless collection to be treasured year after year.